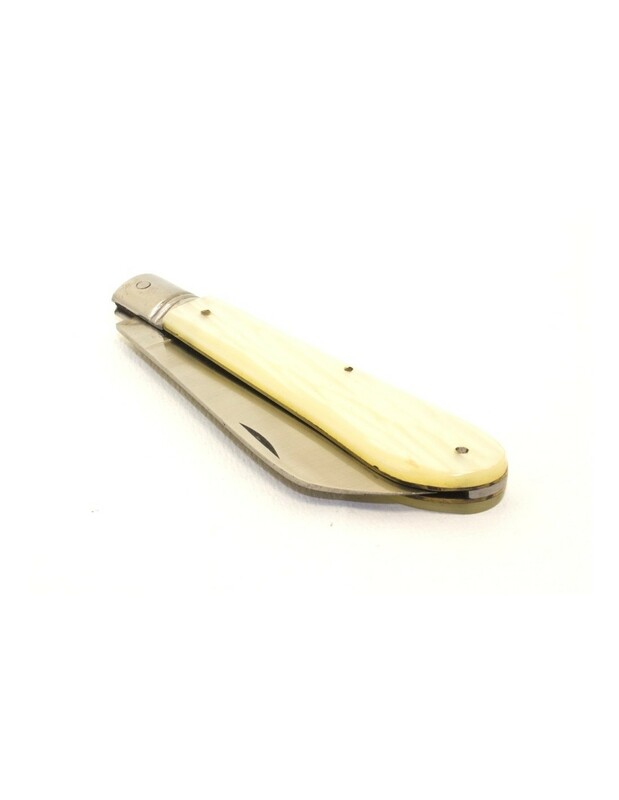 > Folding knives>Vintage folding knives>Vintage Penknife 70's, type "Parrot beak"
Vintage Penknife 70's, type "Parrot beak". 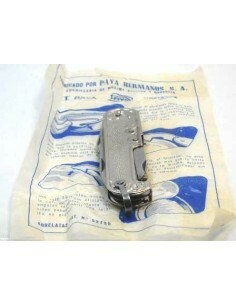 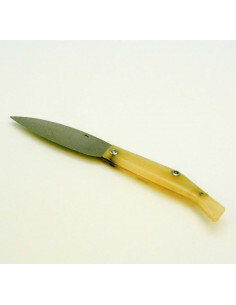 Vintage folding knife "Parrot beak" 70's by artisan Sotos, stainless steel blade, 2mm thickness, no hollowed, marked by SOTOS, slipjoint lock system, and brass liners. 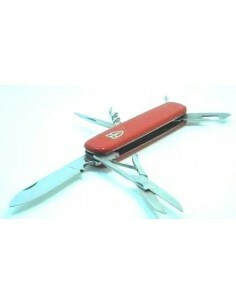 Scales of plastic with stainless steel rivets. 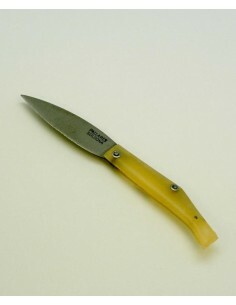 Named "Parrot beak" due to its blade shape so particular. 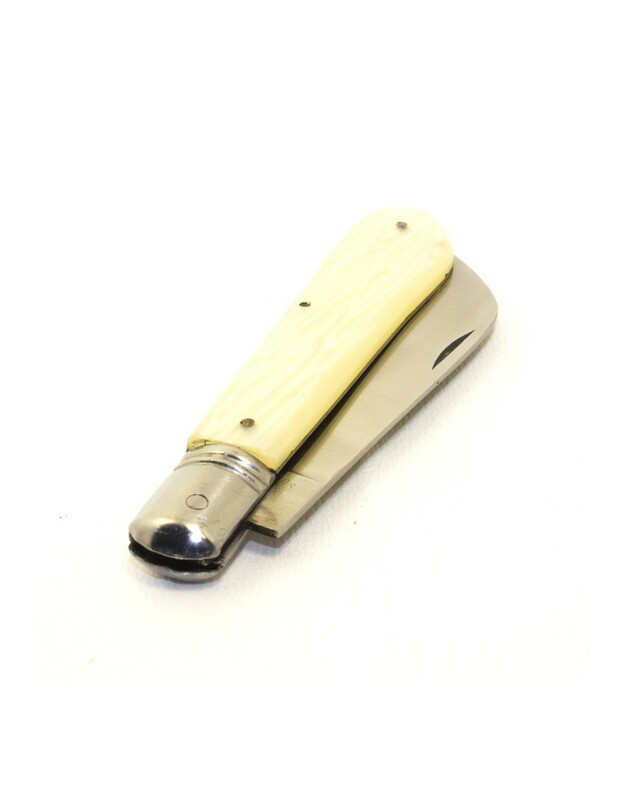 These folding knives are no longer made, unique. 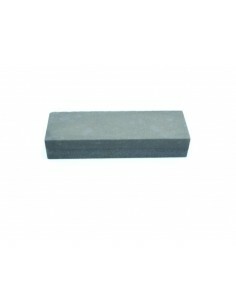 Our grandfathers used to use these knives. 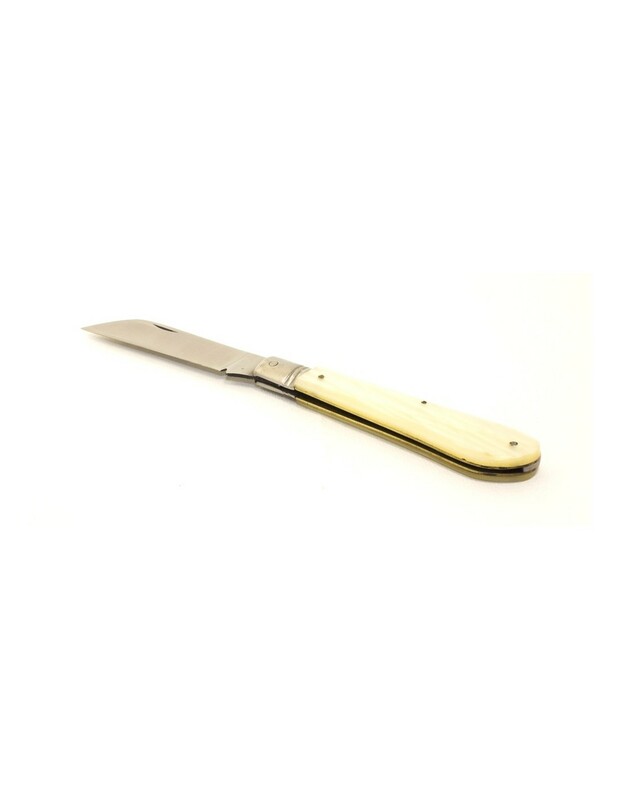 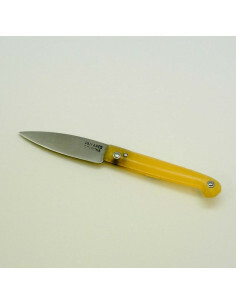 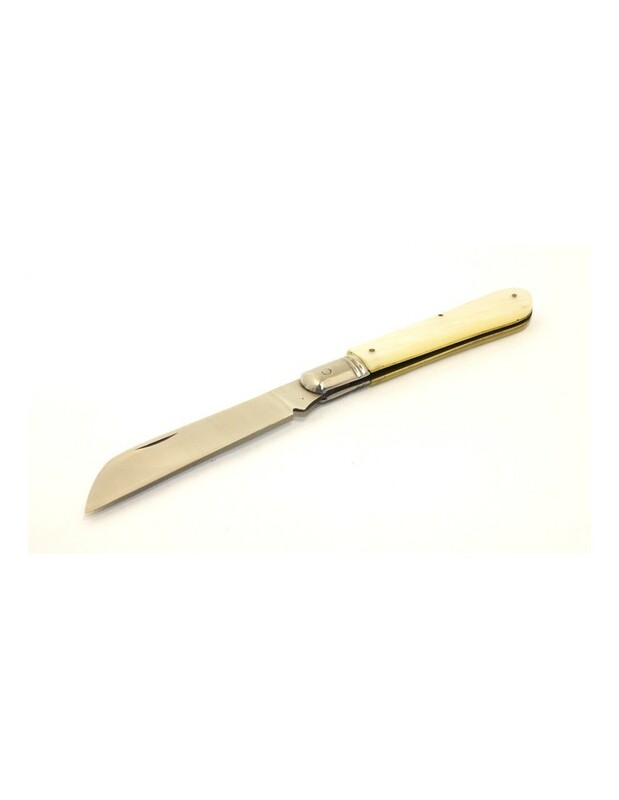 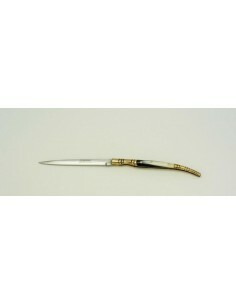 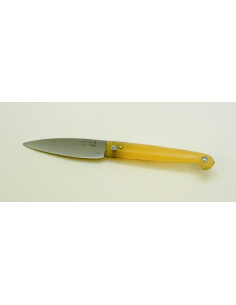 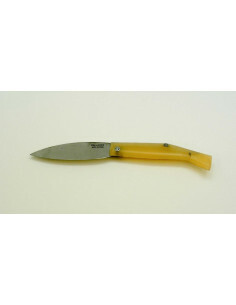 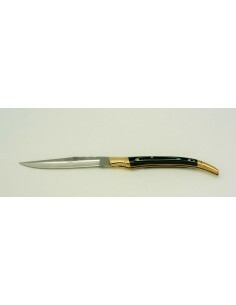 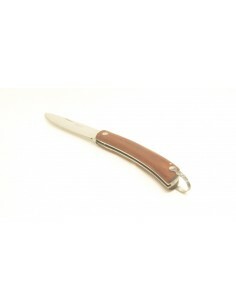 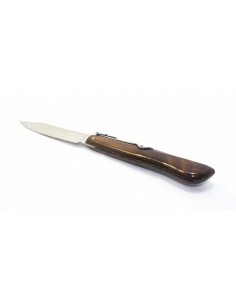 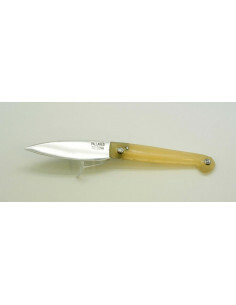 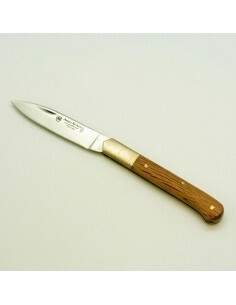 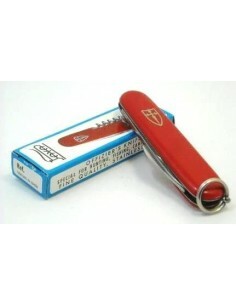 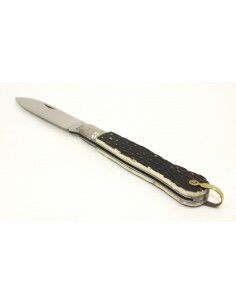 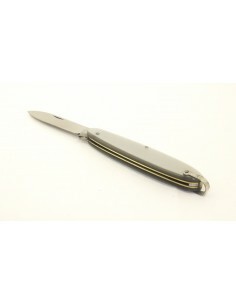 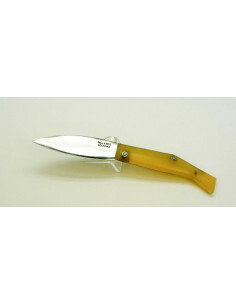 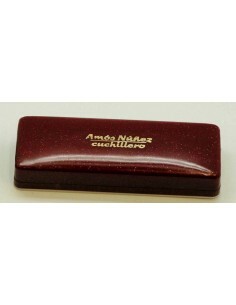 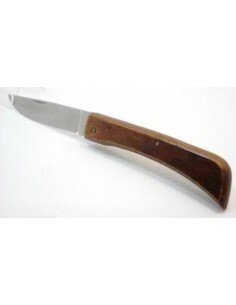 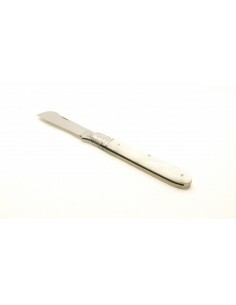 Characteristics of vintage Penknife 70's, type "Parrot beak"